The Moto X4 was launched in August 2017. The phone’s display is 5.2-inches with a full HD 1080p resolution, having 424 ppi and Corning Gorilla Glass. It is run by Qualcomm Snapdragon 630 processor with 2.2 GHz clock speed and this is an Octa-core CPU. The phone has a 650 MHz Adreno 508 GPU. 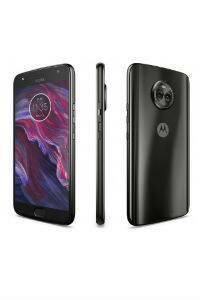 Moto X4 dimensions are 148.35 x 73.4 x 7.99 mm, and it weighs 163 grams. It comes with Android 7.1 Nougat. Moto X4 has a dual rear camera of 12 MP + 8 MP, while the front camera is 16 MP. The 12 MP camera comes with dual autofocus Pixel sensor and ƒ/2.0 aperture. The 8MP sensor has an ultra-wide angle with 120-degree field of view and f/2.2 aperture. Other features include LED, phase detection auofocus (PDAF), selective focus, slow-motion video, ultra-wide angle shot, selective black and white, spot colour, and more. It is capable of shooting 4K videos at 30fps, 1080P videos at 60fps, 720P videos at 30fps, and 480P videos at 30fps. The front camera, which is 16 MP, has a f/2.0 aperture and selfie flash. The storage options available are of 3 GB RAM and 32 GB ROM. The Moto X4 will provide expandable memory of up to 2TB on microSD Card support. There’s a 3000mAh non-removable battery that supports 15W TurboPower. It is claimed to offer 6 hours of power in 15 minutes of charging. Moto X4 comes with IP68 rating, which makes the device water resistant. The Moto X4 provides various sensors like fingerprint reader, gravity, proximity, accelerometer, ambient light, magnetometer, gyroscope, and sensor hub.